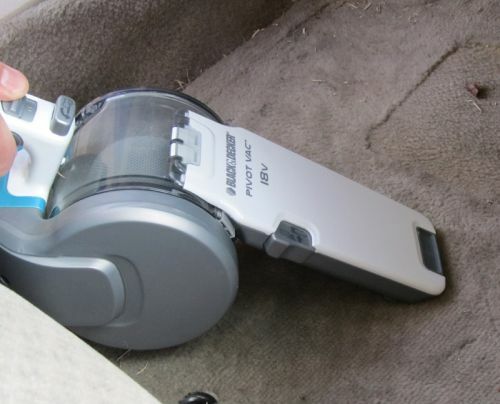 The Black and Decker Pivot Vac PHV1810 Handheld Vacuum impressed us with its versatility in cleaning up messes on different surfaces and in our car. We were also amazed at its strong suction. This Black and Decker is one of two top handhelds we have tested, along with the corded Eureka 71B. 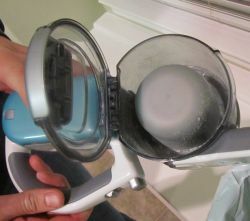 Read on below for our full review, and see just below for our video review so you can see the Black and Decker Pivot Vac in action in both the home and car. In an endeavor to test the vacuum’s effectiveness on carpeted flooring, we ran the Pivot vacuum through a series of tests. First we began by putting flour on the floor to see how the machine handled fine particles. It easily sucked up every speck of flour visible. Next we used rice and again, the Pivot handled the mess without difficulty. Lastly, we put larger particles across the carpet and again machine easily cleaned them up. One of the things we found during our testing that impressed us was the strong suction of this machine. You could see how it actually pulled the strands of carpet towards the nozzle as it cleaned. One of the areas the suction strength of this machine was especially evident was on our hard surface flooring. When it comes to sucking up flour for our fine particle tests, handhelds will often struggle. Not the Pivot Vac. It quickly and easily sucked up all of the flour without smearing it across the floor. The only trouble is that the exhaust is located on the bottom of the machine so when you bring the vacuum down to a fine particle mess, the air coming from the exhaust can blow the particles around. It did an excellent job cleaning up the medium particle rice and large particle white beans too. This Black and Decker handheld worked well in our vehicle test. 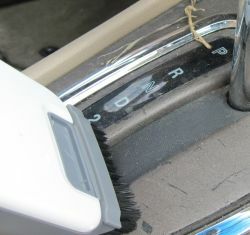 It had the suction strength to pick up small rocks and large pieces of grass that were on the floor of our car. Also, with the crevice tool extended, we were able to clean in the harder to reach areas of the car, like between the seats. The battery lasted long enough for us to clean the whole car and without a power cord, it was easy to maneuver. 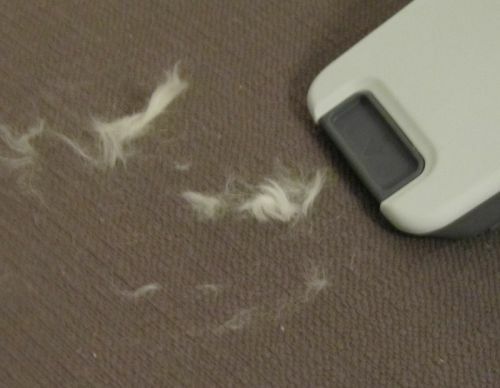 To see how the handheld performed at cleaning up pet hair, we spread dog fur on some upholstery. The vacuum easily sucked up a majority of the hair, leaving being the very finest strands of hair that had been ground down into the fabric. The filtration system was the biggest letdown of using the Pivot Vac. When we used our particle scanner, which measure the amount of particles in the air, we found that the readout jumped up when we measured the air coming out of the vacuum versus that of what is in the air naturally. This means that the smaller particles are being sucked up by the vacuum, but some are getting through the filtration system. We do not recommend this vacuum for those who suffer from allergies. The Pivot Vac comes with two onboard attachments, a crevice tool that extends from the nozzle and a dust brush that flips into place from the underside of the nozzle. We have found that these features in handhelds oftentimes do not work well. The onboard attachments usually lock into place, but the locking design is poor and the attachments slide back into place making the attachments useless. The Pivot Vac’s attachments stay in place when cleaning, which makes this handheld unique. As indicated by the name, this machine’s nozzle pivots so that you can pick the angle you need to clean at while still keeping your wrist at a comfortable angle. The nozzle is released and allowed to be manipulated by pressing a button on the top of the handle. While this was a nice feature, in all honesty, we didn’t use it very much while cleaning because it was easier to move our wrist than the nozzle to achieve the desired angle while cleaning. The handle of the machine was well placed to balance the weight while we cleaned making using it for longer periods of time comfortable. This vacuum couldn’t be easier to get started with. All the attachments are on board and the machine comes fully assembled. 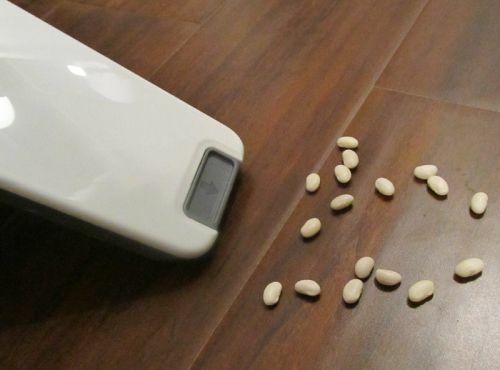 However, the battery requires a twenty-four hour charge before your first use. This seems to be the standard for many handheld machines. While some handhelds can sound like a small airplane getting ready to take-off, the Pivot vacuum is an exception to this. Averaging seventy five decibels, it was a very comfortable volume level. While the motor isn’t overly loud, the suction of the machine causes the debris in the dirt cup to spin around like a tornado. Depending on what you have sucked up, this can add an annoying noise to your cleaning experience. The vacuum was very easy to use on stairs. Without a cord and being lightweight, we had no trouble maneuvering the machine. One downside was the size of the nozzle. 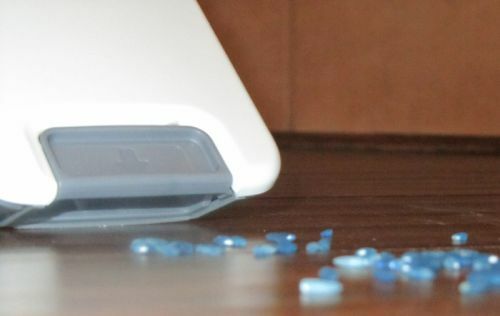 Since it is small, it will take some time to clean all your steps if you have several. If, however, you have just a few steps to clean, then this machine would work well. The nozzle of the Pivot Vac folds completely parallel to the rest of the machine allowing for compact storage. Because all the attachments are on board, the only additional item to store is the cord to recharge the machine. Black and Decker states that the vacuum can be stored plugged into the power cord so that you always have a full charge available when needed. 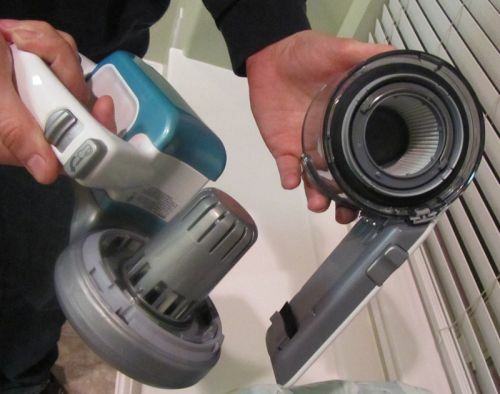 The vacuum’s manual recommends replacing the filter every six to nine months. This machine retails for around $120.00. However, Amazon currently has it listed for $49.99. We felt that at the reduced price this machine was an excellent value. 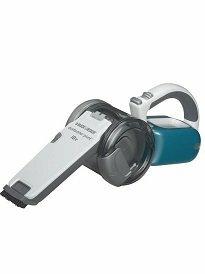 The Black and Decker Pivot Vac PHV1810 was one of our favorite handheld vacuum cleaners we have rated. It had strong suction and worked well on our tests for hard surfaces, carpet and automobiles. 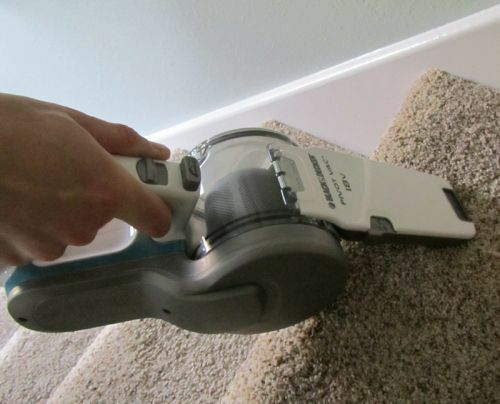 One of the only downsides we found was its small nozzle, which would limit the surface area we would like to use this vacuum on, like the stairs. 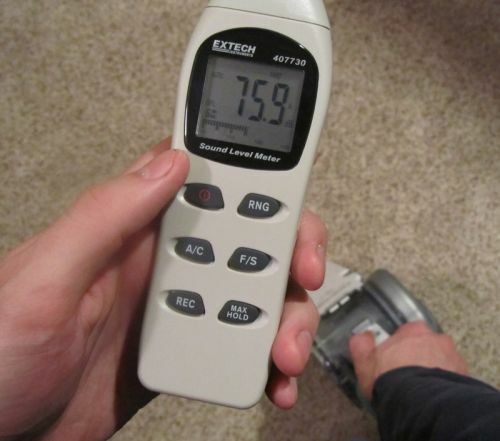 While we really liked this vacuum, we feel compelled to offer a word of caution due to our high rating. We have seen reviews explaining issues with the recharging cord failing and a limited battery life over time. Even so, with a low cost on Amazon.com, we would recommend the Pivot Vac.